David Steuer's father and grandfather instilled within him a passion for the real estate and construction industry, which led him to found AwardWinnerHomes.com. Over the ensuing years, he has cultivated a distinguished team of dedicated professionals and skilled craftsmen that are intent on creating state of the art homes that enhance homeowner’s quality of life. As a testament to AwardWinnerHomes’s commitment, within the first 18 months of the new millennium, they had amassed 5 awards for the best homes in metro Detroit based on design, construction quality, location, and overall value. 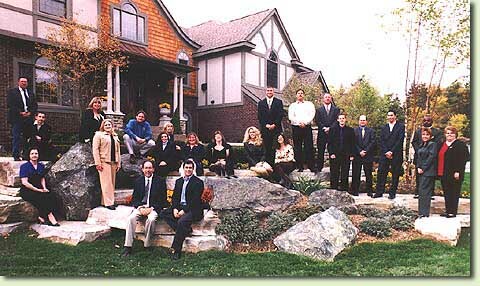 Dating back to 1980, AwardWinnerHomes.com and its predecessor companies havereceived accolades and acknowledgements for their extraordinary homebuilding achievements including multiple and frequent newspaper articles as well as being selected as the designer/builder for the 1983 National Art Train Designer home. Recently, the company was chosen by the Builders Association as a 2002 Homearama Builder on the new golf course at Indianwood in Orion Township. Within the past 5 years, AwardWinnerHomes.com has developed hundreds of heart-warming homes and environments for families in Birmingham, Franklin, West Bloomfield, Farmington Hills, Rochester Hills, Commerce Twp., Plymouth, Canton, Van Buren, Ann Arbor, and Westland. The homes created by AwardWinnerHomes.com are unique to the market in part because a talented in-house architectural and interior design staff creates dramatic yet practical homes exclusively for the AwardWinerhHomes.com building team and their homebuyers. This synergy is unusual in the industry and allows a cross communication between buyers and the designers. The results are evident by way of the numerous awards won by this team. AwardWinnerHomes.com strongly believe in the importance of service to the homeowner during construction and after the closing. An attentive and knowledgeable staff provides quality assurance to the homeowners with regular follow-up visits. They are an industry leader in this area, and have been the recipient of countless homeowner letters of appreciation. Visit with one of the caring sales representatives and learn more about the many exciting features and opportunities available in an AwardWinnerHomes.com community!